SELLIING 7VACANT LOTS! 3 Lots facing onto W10th Street (paved, public street with electricity available) with remaining lots behind W10th facing onto W11th Street (uncut road at end of paved street)(see aerial and survey). 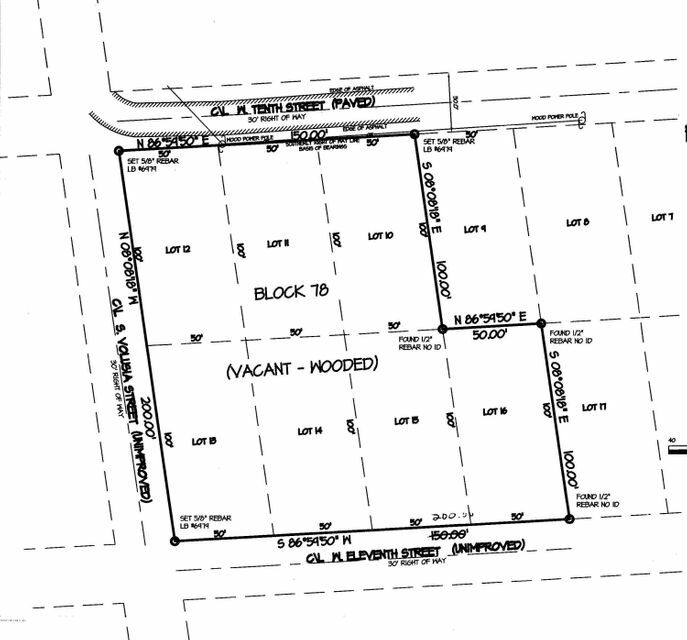 Lots are 50′ x 100′ facing onto W 10th Street you can combine 2 lots together and have 2 lots 50′ x 100′ facing unto W 10th Street with one lot at end of pavement on W 11th Street Address is 850 S Volusia Street where the street is uncut by county. Listing provided courtesy of : AWESOME REAL ESTATE, INC.